I began my journey to recovery, health and wellness in 1987 when I got sober and began attending Alcoholics Annonymous and Al Anon. It was a challenging time in my life and with the help of the 12 step programs, many workshops and much therapy I was well on my way to a life of serenity and a sense of well being. Since 1987, I have been an avid student of healing my past, learning to live in the present and improving my conscious contact with Spirit. Aside from all of my personal work, I have studied Chemical Dependency at the Breining Institute and worked in the field of Substance Abuse. I am a trained mediator and excel at helping clients to see new perspectives to challenging situations. After studying nutrition and wellness through the Global College of Natural Medicine I began creating Helen's Health Tips that I share freely to anyone interested. I believe each person has their own right food plan but most important is eating nutrient dense whole foods and making small changes that become part of your food plan. In 2008 I became an ASAT™ Certified Holisitic Health Couselor in C.O.R.E education and furthered my education of C.O.R.E in the Doctoral program which I completed in March 2012. C.O.R.E is the roadmap to finding the root cause of patterns we repeat over and over. It is an opportunity to shift your perceptions and bring more joy and happiness into your life. I am a Certified Infinite Possibilities Trainer based on Infinite Possibilities:The Art of Living Your Dreams by Mike Dooley and I love learning more about The Law of Attraction and how to attract all those positive things into my life. 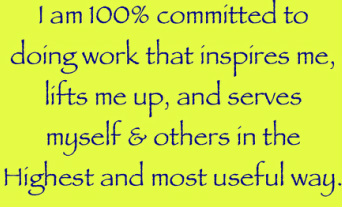 Most recently I became a Certified Professional Coach with my specialty in Personal Productivity. Time management and productivity courses are time consuming and involved. When you pick up a book on productivity it is long and dry with an overabundance of information. I have created some simple solutions to increasing your productivity which in turn will allow you to have more time in your life for YOU, whether it is to have fun, increase your finances or spend more time with family and friends.